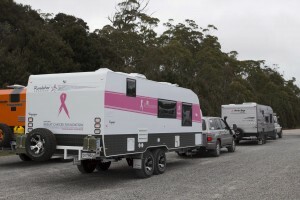 The Roadstar Voyager is a caravan you NEED to check out as What’s Up Downunder host, Macca takes you on a guided tour through one of the industries Best of the Best caravans! Roadstar has long set the industry benchmark for caravan design and manufacturing throughout Australia and never compromises on quality, craftsmanship or innovation. Custom designed to suit all types of lifestyle, all of the models in the Roadstar range combine state-of-the-art features according to caravanner’s unique needs. Roadstar’s investment in new technologies has given them innovative production systems capable of fitting out caravans with the highest quality custom enhancements. Safety, expert craftsmanship and quality assurance take centre stage during the rigorous inspections conducted throughout the production phase. Join Macca below and see the Roadstar Voyager for yourself!